Urbaser Ltd’s materials recycling facilities (MRF) are designed to take mixed ‘comingled’ recyclables collected from the kerbside which are then sorted into specific material types such as glass, plastics, metals, paper and card. The separated materials are bulked or baled and despatched to reprocessors for ultimate remanufacture into goods. Our facilities contain a range of the latest high technological plant and equipment including optical sorters, trommels, magnetic, eddy current and ballistic separators to realise a high quality of output material. We have excellent relationships with many of the market-leading reprocessors. We trade through a mixture of both fixed-term contracts to manage fluctuations and spot market contracts to achieve maximum benefit and minimise the risk for our clients. 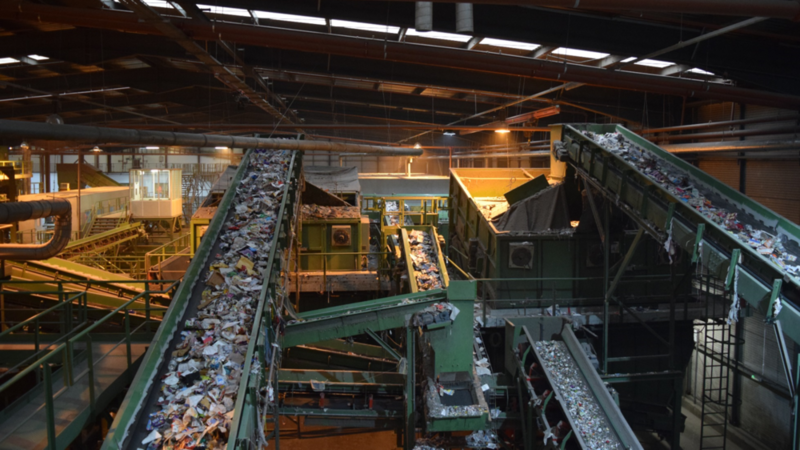 Our EnviroSort MRF in Norton, Worcestershire has the capacity to receive and sort up to 105,000 tonnes of mixed ‘comingled’ recyclables per year. Further information about the facility can be found on the dedicated Envirosort website.